Iced Milk vs. Cool Breeze. The color comes up a bit different in than in the top photo, which is more true to life, but it give you an idea of the difference between the two colors. Submarine Swiftly Tank. I might order this. The SS and LS in Submarine were not uploaded. V-neck Love Tee in Dark Adobe. I might order this one, too. The new Taryn Toomey The Class lululemon co-lab uploaded today. I like the colors a lot but after studying the offerings I've concluded nothing will work for me. 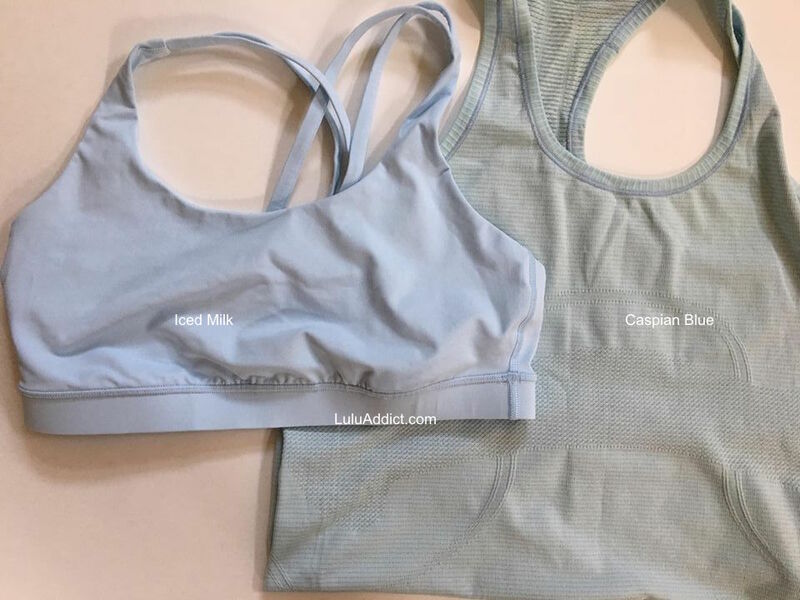 These are the new Awakening Crops in Ice Gray, Misty Mauve, Earl Gray, and Gris. Luxtreme Awakening Tights in Dusty Mauve. Also offered in white. 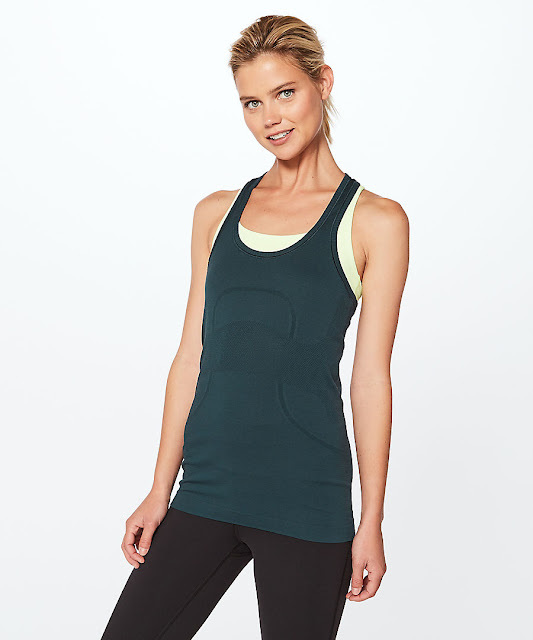 Heart Opener Knit Cami in Misty Moss and Faint Mauve. Also offered in white. Silk blend Heart Opener Halter in Porcelain Pink. It has a built in bra. Silk blend Heart Opener LS in Faint Mauve and White. Also offered in Misty Moss. 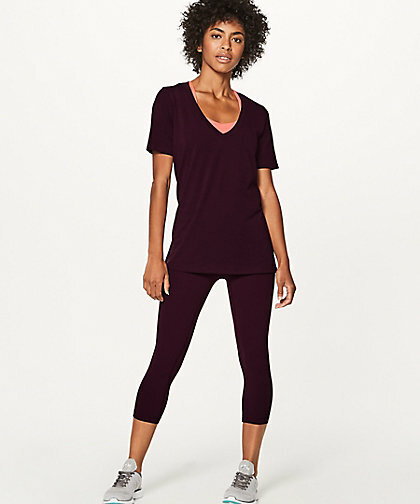 I might have ordered this but it looks a bit short and I hate the way lululemon does dropped sleeves. The $78 price tag is also off-putting. 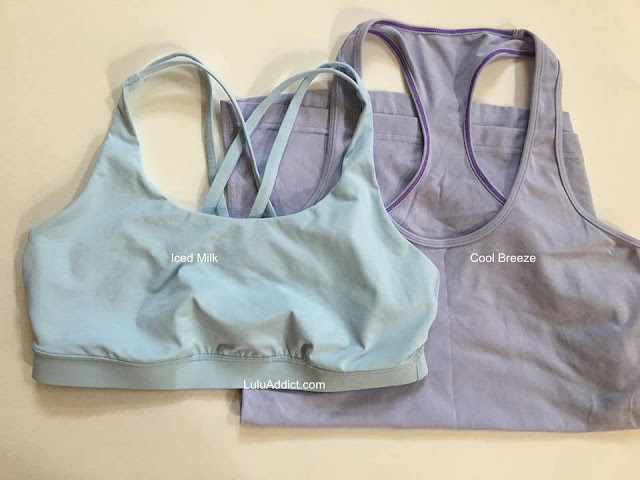 Silk blend Heart Opener Tank in Misty Moss, Faint Mauve, and White. Knit Awakening Bra in Earl Gray, Chrome, and Misty Mauve. It also comes in Lavender Gray. Heart Opener Knit Wrap Misty Moss and Faint Mauve. It also comes in White. Mesh Awakening Tank in Misty Mauve, Faint Mauve, and Misty Moss. Much as I tried to like this, there is nothing practical here I can use. Did you get anything?